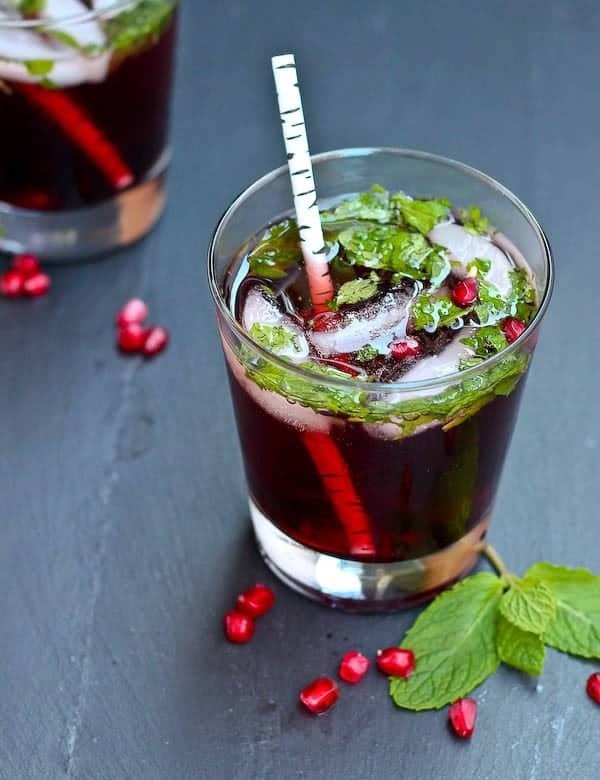 This pomegranate mojito is festive enough for the holidays but delicious enough to drink all year long! What’s better than a fun holiday cocktail? Not a whole lot, if I do say so myself! As you all know, I had a hard time saying goodbye to summer this year. (Time just goes SO fast!) My drink of the summer (meaning I drank it maybe 4 times total) was a mojito. 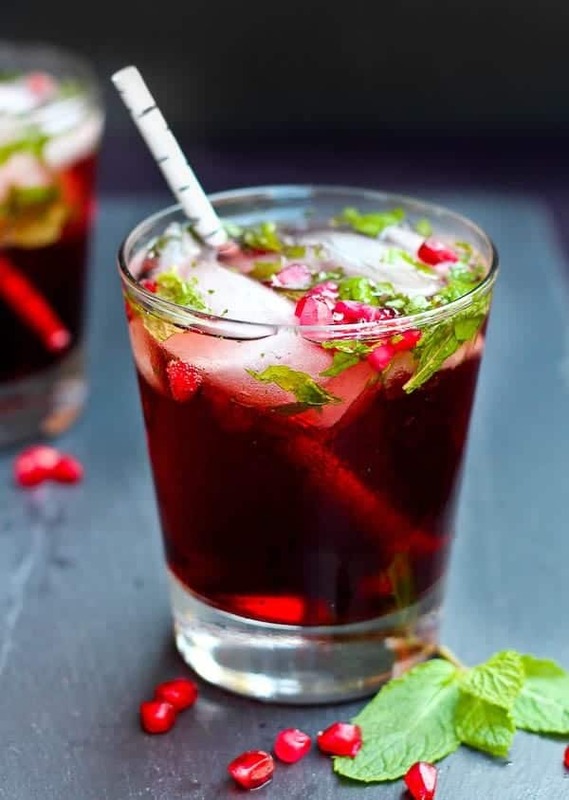 I decided to take my summer cocktail love into holiday territory with this fun pomegranate mojito. Side note: The only reason the mojito was my drink of the summer, besides being completely delicious, was because my mint plant was out of control this year. Hopefully next year I can get my basil to do as well as my mint. My rosemary, sage, and thyme are buried by leaves right but they’re still huge. I’m hoping they hang around long enough to season my turkey. Anyways, back to this festive mojito. 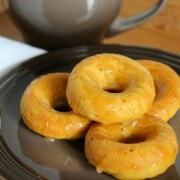 The colors are perfect for Christmas but the flavors are great for both Christmas and Thanksgiving. I won’t be mad if you drink it during the summer, either. The drink is the perfect blend of sweet, tangy, and it’s 100% refreshing thanks to the fresh mint. 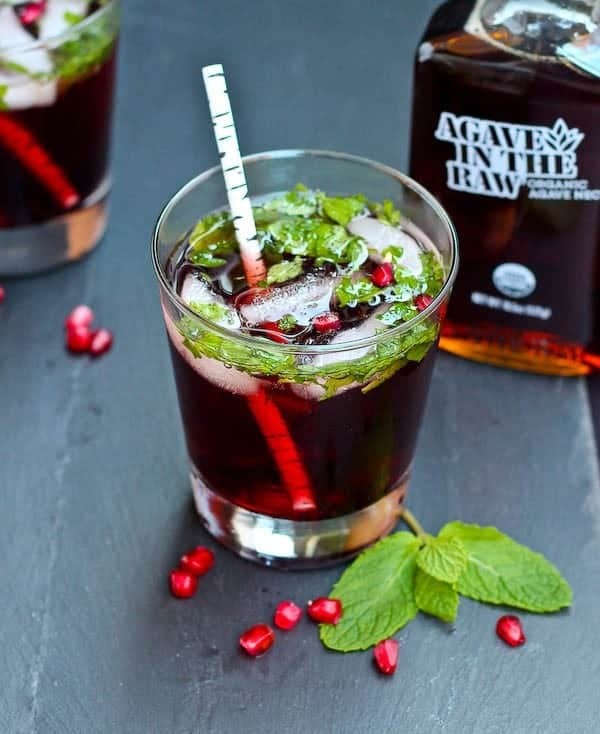 To sweeten this pomegranate mojito, I used Agave In The Raw®. The great thing about using agave is that you don’t have to mess with making a simple syrup. Not that simple syrup is hard to make, but I’m always looking for shortcuts. The other great thing about Agave In The Raw is that it’s 25% sweeter than sugar so you don’t even need to use very much. 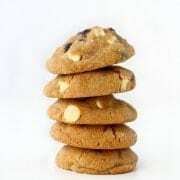 It’s organic, gluten-free, and has a low glycemic index. So….cheers! Using the end of a wooden spoon or a muddler, muddle mint leaves and Agave In The Raw in the bottom of a cocktail glass until mint is broken up and fragrant. Pour in pomegranate juice, rum, and a handful of ice. 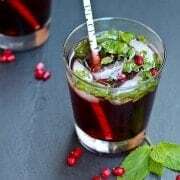 Top off with club soda and a few pomegranate arils. Serve immediately. Note: If you’re making more than one, you can mix mint, Agave In The Raw, juice, and rum in a pitcher and then add ice and club soda immediately prior to serving. Verdict: Delicious. Perfectly tangy, sweet, and refreshing. 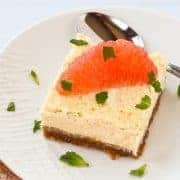 Husband’s take: I was totally day drinking when I did the recipe testing for this recipe – but don’t worry, I only had a few sips and saved the rest for later. But Ben never had a chance to try this one. Changes I would make: None are necessary! A squeeze of lime never hurt anyone though. Make sure to also visit In The Raw sweeteners on their website as well as Facebook, Twitter, Pinterest, and YouTube. Disclosure: This is a sponsored conversation written by me on behalf of In The Raw via Burst Media. The opinions and text are all mine. Well this post is all about my favorites – mojitos and Agave! 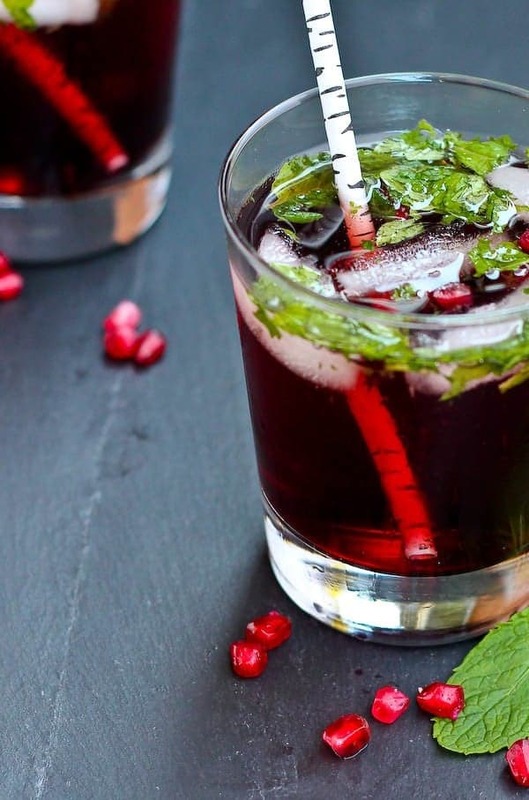 I’ve never had a pomegranate mojito, but this sounds AWESOME! Love that you used agave and that color is GORG! Pinned! Okay, so if your basil plant goes crazy next year, you can totally make mojitos with it. I mean, don’t call them mojitos because people will go nuts. But, it’s so good! Also, this drink looks like perfection! SUCH gorgeous photos too! Pinned! Just absolutely gorgeous!!! And I think I’ll find myself enjoying this all year long.